Lots of activity for sure, but I think most of our region will fare poorly to be honest. Further north and east the better. I really hope mother nature can pull a rabbit out of the hat today otherwise I will be ****** off lol. All these snow showers piling into scotland/north east england with thundersnow whilst we get peanuts really is disheartening. Snow showers getting going again but should get lighter and fade away in southern regions later today. Northeast England, not for the first time this winter, is the place to be. 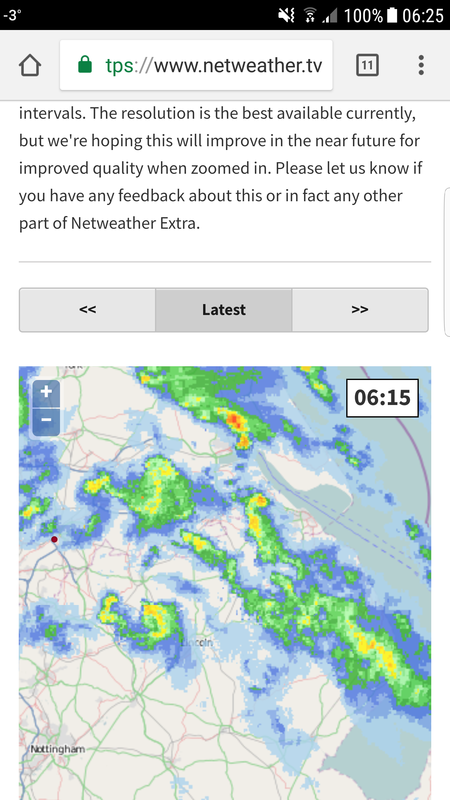 Unsupprisingly the radar bares no resemblance to the graphics look north was showing last night! That said, who knows what will happen as the wind shifts more due east or ESE, perhaps a humber streamer will set up? We will see. About an inch here looking out the window, but there was nothing between 9pm and 4am. After all of the fails and letdowns of this winter I thought we'd finally catch a break. How wrong I was. Not watching the news at all today, sick of hearing about this bloody 'beast'. Husband trying to check if the buses are running to get to work . Just travelled from east side of Rotherham to North Sheffield and it makes a change to see there's more snow in Rotherham than Sheffield. This is that bad snow Chris fawkes was talking about!! Yeah almost looks like a bit of a streamer setting up. Heavy snow on and off between 7am and 2pm in my area according to the Meto forecast. Nice top up on last nights snow this morning. Let’s hope we all do well today. It's coming down quite heavy now! Looks like a Christmas card scene outside! Not here in Leeds suns almost ready to come out. Was expecting to wake up to loads. Leeds is gonna take a hammering soon looking at the radar! There are dark clouds to our east. Guess we'll see what they bring.